as you can see in the a-little-too-descriptive title above, I have included here a quick overview on what our backers have selected in the pledge manager for our most recent metal coins campaign. This selection allows us to figure out which of the new coins are going to be the most popular, but also how the older coins we made still attract interest. We always expect to see a preference in the new coins, thus we estimate our upcoming productions having this in mind. Let’s start by looking a cool chart below. What we have done here, is combine the metal coins from all the rewards (individual coins, sets, collectors sets) in a single number, and then add all coins of the same category together (copper, silver and gold coins together). The results are depicted above. And we couldn’t be happier! As you can see, the most popular selection is the Medieval Units Coins, with more than 14,000 coins, followed by the Wizard, the Japanese, the all-time-favorite Dragons and the Unit coins.  That means that the Top-3 choices are on new designs! 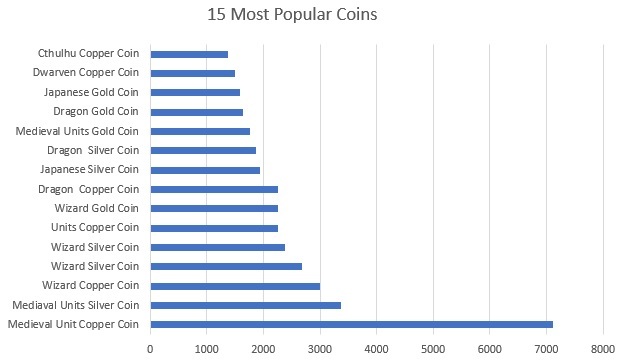 In the chart above, we want to see which are the most popular coins individually. 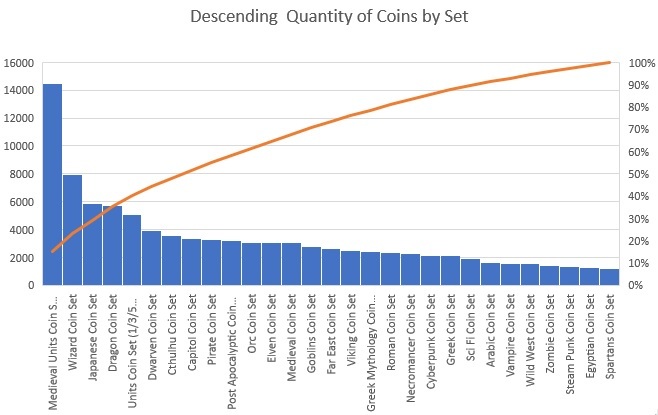 We have estimated the difference between the coins in Unit sets coins and standard sets, but despite removing around 8.5%of the actual demand, the Medieval Unit Copper coin is by far the most popular! In the list we still see some classics but we are happy that 8 out of the 15 most popular coins are new. Thank you for reading my small article, barely touching some basic stats about the coins and their selection. If you are interested in reading more about these, please let me know in the comments below. This entry was posted in news and tagged accessories, charts, Kickstarter, Kickstarter Legendary Metal Coins, Legendary Metal Coins, lmc3, pledge manager, statistics.